Comvita UMF 10+ Manuka Honey is brought to you by Comvita – a world leader in manuka honey production. 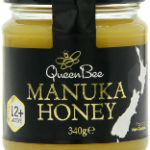 This is a certified honey – click on the link to see Comvita’s has other UMF certified manuka honey products. Sourced from the pristine countryside in New Zealand, Comvita UMF 10+ Manuka Honey is for you if you are wanting a manuka honey that has a great taste and also the incredible antibacterial and anti-inflammatory properties that have made manuka honey renowned the world over. Comvita UMF 10+ Manuka Honey is produced by Comvita – a pioneering company in the production of manuka honey and manuka honey products and now the world’s largest producer and marketer of it. 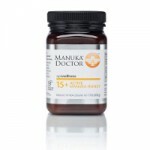 The honey has been independently tested and verified to ensure that it contains the naturally occurring elements, such as leptosperin and methylglyoxal (MGO), which make manuka honey so special. This is what the UMF or Unique Manuka Factor trademark guarantees. 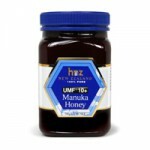 Manuka honey has gained worldwide attention because of its beneficial effects and Comvita UMF 10+ Manuka Honey can be eaten straight from the jar on used as a spread. 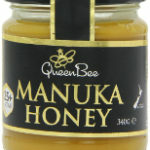 Manuka honey is considered to have several health benefits and is also good for your skin. Eat it and see!